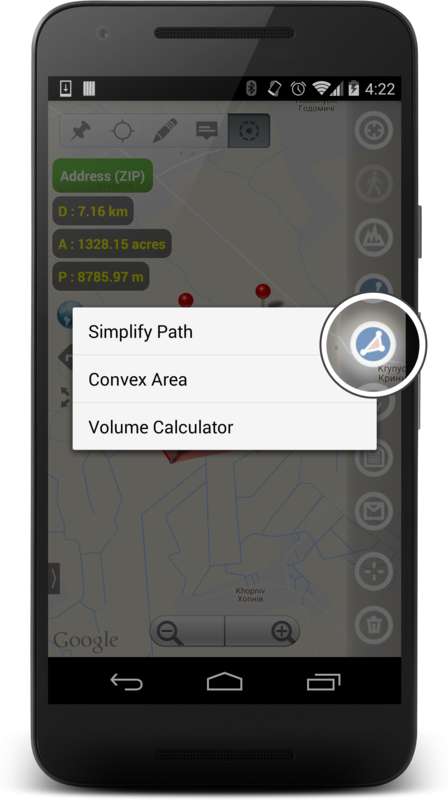 VisTech.Projects: Planimeter v5.1.0 update on Android: Circle Mode and Volume Calculator. 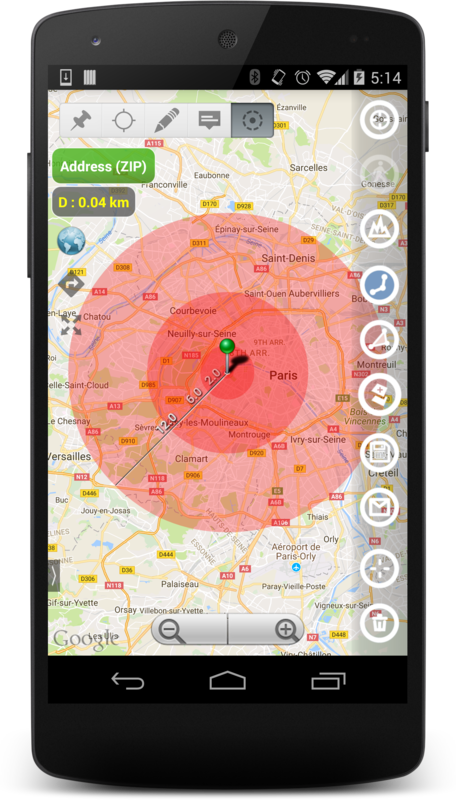 Planimeter v5.1.0 update on Android: Circle Mode and Volume Calculator. Circle Mode - new paid feature that allows you to pull a circle around a pin. 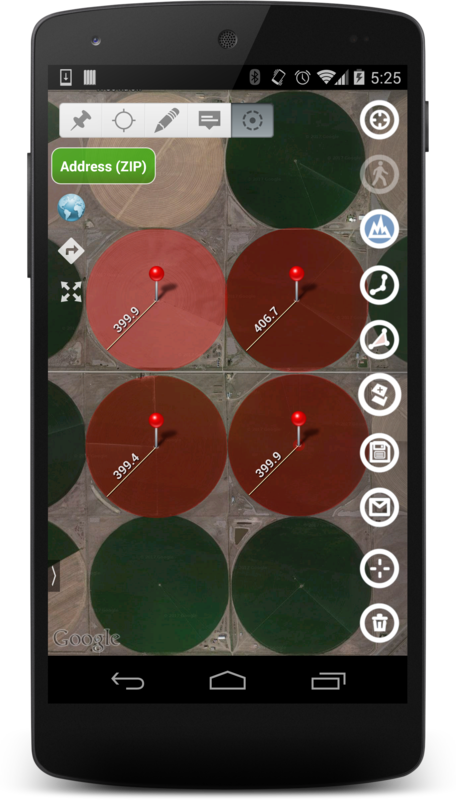 Might be useful if you need to check region on Google Map within certain radius of a reference point. Volume Calculator - simple universal tool that allows you to calculate volume of a polygon or total volume of all polygons when height is entered. 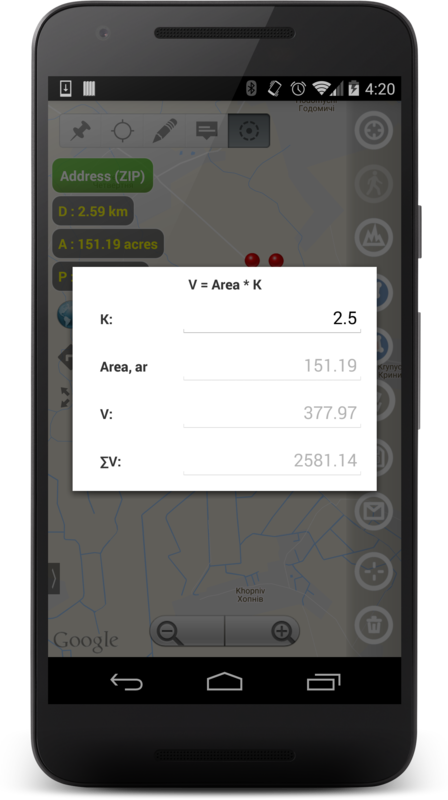 Also can be used as a cost calculator, when you enter rate per square unit as a coefficient (K). You can find the calculator in Smart Tools by LONG touch on Area button. Please try the new version of the app and let us know how it works for you. Your feedback and suggestions are always appreciated and help us to improve the app. Circle mode doesn't give Ha.please add it.Farmers really need it.